One of the best things about having an interview style podcast is that you get to know and collaborate with some really cool people. And if you're lucky, your podcast guest will help you to promote "their" episode and your podcast. If you're even more fortunate, your guests are well connected and have a large social media following – resulting in more people being aware of your podcast and subscribing along the way. You might expect that your podcast guest will help you promote "their" podcast episode. But make sure this is not an unspoken assumption on your part. 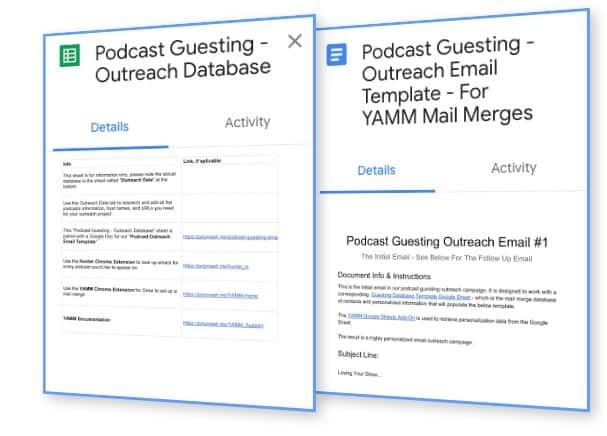 After having launched over a dozen shows, I’ve found that getting your podcast guest to share episode links with their own social networks can be like pulling teeth. It's a bit like asking for reviews, people seem happy to do offer them in principle, but then it rarely happens without gentle reminders. Repeat reminders. And depending on your own personality type, asking explicitly may not be in your nature. Repeatedly. Add to this the fact that the more connected and “famous” your guest is, the less likely they are to do this without being prompted. So here are some tips to make this easy on yourself, and even easier for your guest. You want your guests to be excited to be on your show. For guests that have never been on a podcast before, this may require some gentle education about the mutual benefits of being on your podcast. The goal is to foster a sense of excitement, collaboration, co-ownership and reciprocity. 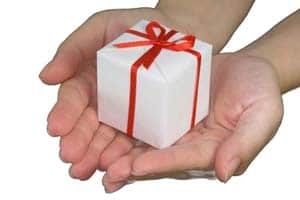 In fact we have found that once guests truly understand all of the benefits of "guesting" on your podcast, they are much more likely to chip in and promote the episode when it goes live. 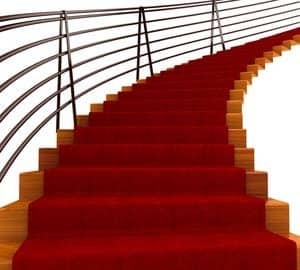 We have an on-boarding sequence when we book podcast guests on our shows. During this process we reiterate that the process is designed for us to be able to promote the guest, highlight their background, links to their website, current initiatives and so on. During this phase, we ask them to fill out an on-boarding form. They are to provide social media links, books they are promoting, short bios, profile pictures etc. 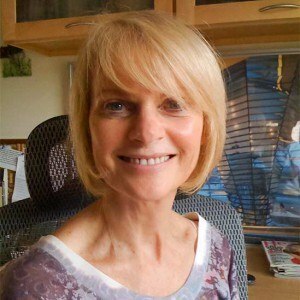 This is so that we can create a great looking guest section with pictures and links to their work. In other words, we want to create great looking episode show notes that our guests would be proud to share and to help cross promote. Essentially, we're doing this on THEIR behalf. You want your interview to go smoothly, and making sure there are no last minute technical difficulties is important. Look at it from your guests point of view: They may not be used to Skype. They may not have headphones, earbuds or microphones. They may not know how to connect these or configure Skype in the right way. We produce some podcasts where our guests are an older demographic or simply "tech averse". Or we get people who cannot use Skype because they are behind a corporate firewall, and we therefore need to offer alternative recording platforms like "Ringrr". In any case, the last thing you want is to discover these things the last minute before starting to record, which usually results in a flustered guest. Send a "technical setup" email as part of your guest onboarding sequence. Arrange for a brief test call a day or so before the actual interview to iron out any issues. 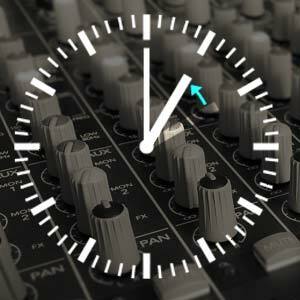 Some podcasters have a brief 10 minute "test" conversation with their guests right before the interview starts, and this is OK as long as you are confident that your guests have the equipment and experience to handle that. Being comfortable doesn't just depend on technical issues. Guests appreciate having sense of the flow of the conversation. A lot of podcasts follow a set interview structure, with predictable segments and questions that the guest will be asked. Take John Lee Dumas' "Entrepreneur on Fire"
podcast. He has an episode format with certain questions that each podcast guest can easily prepare for ahead of time. Open ended conversation with surprise questions may be more unsettling for your guests. But this may make for a much more interesting listening experience for your audience, and result in more surprising and compelling podcasting. In the end you may have to balance your guests comfort with your listening audience's expectations for compelling conversations. Approach it from a hybrid perspective. Feature open conversation segments, but also have several prepared questions for your guest to fall back on. Ask your guest to listen to one or more representative podcast episode so they know what to expect. Send your typical episode structure outline to your guest via email as part of the aforementioned "onboarding sequence". Even if you have mostly unstructured conversations, sending a "guest cheat sheet" ahead of time is a good idea. In our guest on-boarding sequence we already make it clear that we expect podcast guests to share the episode on their social networks, in a nice way. And we tell each guest that when the show goes live, they will receive ready made shareable links and notifications. Scripts and templates are designed to make your process easier. 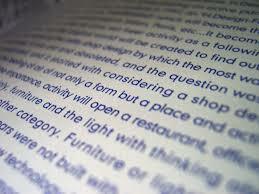 A great tool for this on Mac is an application called Text Expander. This is where you can store pre-written emails. When you are ready to send the email, a popup will prompt you to simply fill in the blanks with the needed information. In this case that would be the name of the guest, name of episode, episode URL, etc. Which emails are part of our typical on-boarding sequence? "Thank You Note", sent right after filling out our podcast guest application. This is a short simple email. We don't want to overwhelm with too much information at this point. But we do include a Calendly or YouCanBook.me link to schedule a test call and get this on the calendar. "What To Expect" email, sent an hour after filling out our podcast guest application. This includes our podcast "one sheet" PDF with typical episodes, show structure, about pages and other useful links. It also contains guides for technical setup, wearing earbuds, Skype etc. We ask guests to ask questions at this point. "Reminder Email", sent 2 days before recording. By this time you as the host might have formulated some guest specific questions in addition to the normal episode structure. Also this is discussed on the pre-call. I love Airmail, a MAC specific email client that features strong template features. Click here for a description of how these template features work. One of the easiest ways to get people to share is to send them an email containing instructions on how to share your show notes post on your website. They will want to check out the show notes pages anyhow, and in many casts that is true. The problem with that is that you are asking your podcast guest to take the time to visit your website, check out your show notes page and then use social share buttons to share. And in this scenario they have to come up with some clever text to share. This is not exactly distraction free, as they might start reading your show notes, listening to parts of the interview. Next thing you know they have forgotten to share, and OMG, look at the time. Usually our guests are extremely busy people, what if there is a better way? Well, there is. By all means, first send your guests to the show notes page to check it all out and to see what a quality job you did. But then send them ready-made share links in one or more separate follow up emails. A big benefit benefit of this strategy is that you want your guests to share your show notes page. NOT the iTunes link. Not the episode on Stitcher or SoundCloud or Spotify. Social share traffic needs to go to your website, not iTunes. Share Link Generator – generates ready-made links for a range of social media sites. Click Here for an example of a "ready-made" tweet link. 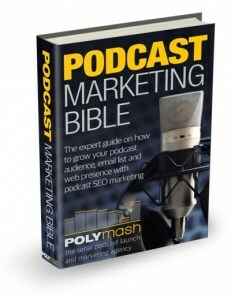 The idea is to send your podcast guest a separate email with a range of pre-made tweets and social shares. Click To Tweet – is a twitter specific service that generates tweets. 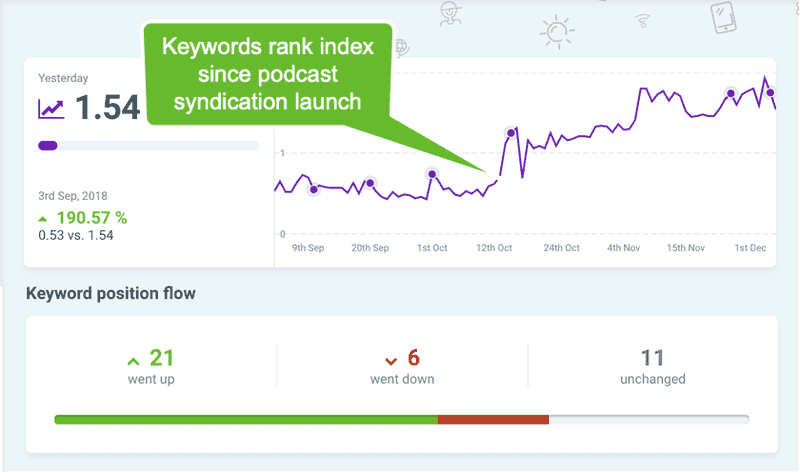 Click here for another example of a ready-made tweet to our "The Podcast Growth Show" homepage. You may think that after the initial share of your live episode you should not repeatedly ask your guest to help promote. I get that. Let them know how well received the episode was, and place some additional shareables at the bottom of that email. Even months after the interview, you can reach out to let your guests know that you are getting great feedback. Again, place some share links into that email. Most podcasters find that after the initial success of launching their show, podcast growth becomes harder. Meaning, it becomes harder and harder to gain new listeners and subscribers. 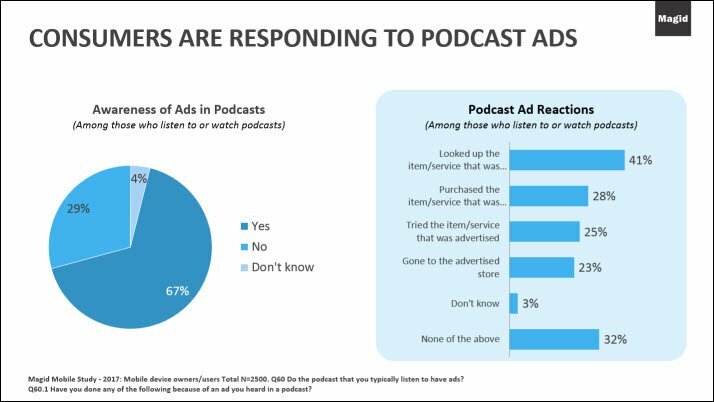 Growing a podcast audience by relying on iTunes New and Noteworthy, or promotions via social media, or submitting to all sorts of podcast directories is a finite thing. Yes, these are all good and necessary steps in promoting a podcast, but eventually, the growth slows down or stops altogether. This is why I’ve been working to compile insights we have gained over the years in launching different shows for a variety of clients. For most, podcasting has become a great content strategy for growth. So I am very excited to announce the launch of a podcast marketing system, as well as a book that teaches these techniques. The approach we have taken incorporate Podcast SEO. And I don’t just mean “Search Engine Optimization” on iTunes, Stitcher or other podcasting platforms, I mean optimizing podcast episode planning and websites for discovery on Google and Bing. 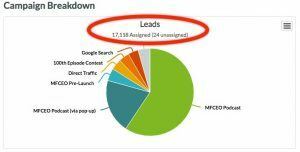 For podcasters, applying simple to follow SEO techniques represents a massive traffic advantage in optimizing the time they likely already spend creating show notes and episode posts. 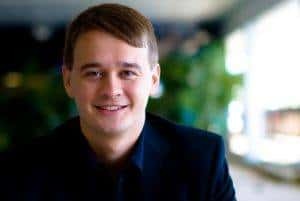 And, these techniques are much more sustainable and evergreen when compared to short-term promotional or paid campaigns (which of course also have a place in the system). 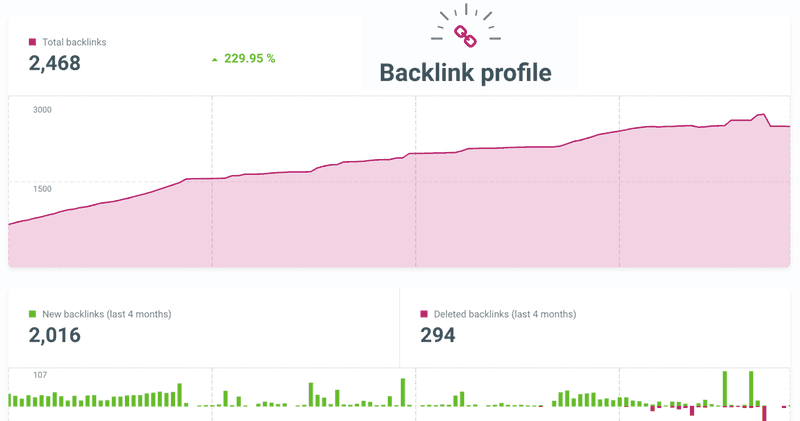 SEO can seem intimidating, so we’ve tried to keep it simple, with video tutorials and easy to follow downloadable templates. 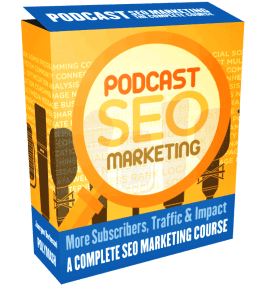 In other words, an expert guide on how to grow a podcast audience, email list and web presence with podcast SEO marketing through step by step guides and practical SEO exercises for your show’s pages. Any podcaster can learn to build a listener base and gain traffic for their podcast organically and without having to spend money on ads. You question the ROI of spending time on SEO? 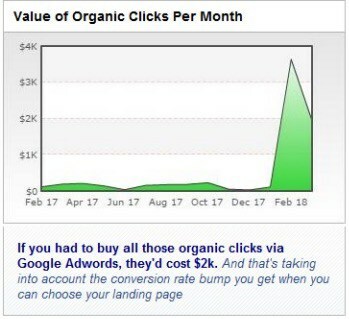 I beg to differ, have a look at this graphic from the Positivity Strategist Podcast, it illustrates that the podcast is receiving $2,000 worth of clicks a month (This analysis provided by SpyFu analytics, who measure what we would have to pay in Google Adwords for the exact keywords driving traffic to the podcast website and show pages) This comes from the exact techniques we are teaching in this course. We also have some free video resources on our site pointing our conversion optimized design patterns that help grow your email list. 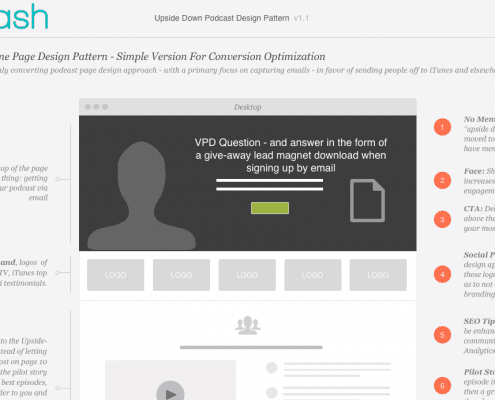 Optimizing your podcast homepage for conversion and email sign up will help you grow your podcast subscriber base. 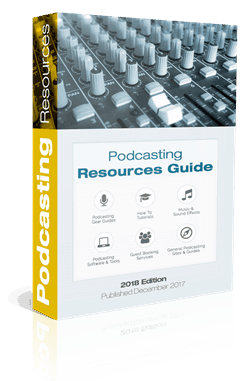 We also have a comprehensive guide on traditional non-SEO methods of growing your podcast audience, and it outlines multiple strategies, most of which happen outside the iTunes ecosystem. A good read for anyone whose eyes glaze over at the thought of SEO based marketing strategies. 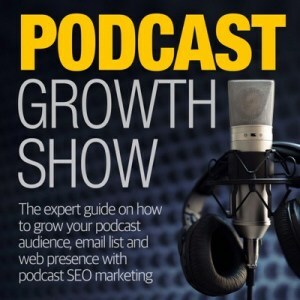 "My goal was to rank as #1 on Google for the keyword ‘Customer Experience Podcast’. Polymash helped me get there, just Google it!" Contact me here to be notified when it launches, and let me know your questions and what content topics you’d like us to most talk about on the podcast. As a small creative agency owner, attending the occasional marketing workshop is a necessary investment, and I understand the value of marketing as a tool to reach my customers and grow my company to the next stage. 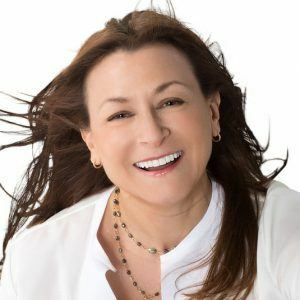 However, like many marketers and entrepreneurs out there, I also know how important it is to continue my own education and to learn from the best out there. As such, partnering with and learning from people who have different and deeper experience with marketing is super important for me. My partner and I have been attending a series of seminars and marketing workshops from Speaking Empire, a leading company that helps speakers and entrepreneurs figure out new and innovative ways to market their brand, and to become best-selling speakers and presenters in their niche. Their holistic system is based on selling from the stage, be it live at speaking events, or virtual stages via webinar, and the community they have built is full of entrepreneurs that have launched multi-million dollar businesses as a result of partnering with Speaking Empire. During the last year we’ve attended multiple 3 day workshops and have been fortunate to meet and learn from many of these successful and inspiring people. Talk about JV opportunities, this alone has made being a member worthwhile. What Is The Speaking Empire? Speaking Empire is a joint venture by Dustin Mathews and Dave Vanhoose to teach speakers, business owners and marketers to achieve their goals. From where I am sitting, they provide some of the best information out there regarding marketing, and Speaking Empire is a company that is committed to helping business owners and their companies reach their full potential. Dustin and Dave founded Speaking Empire because they believe that everyone has a message inside, and to help people find that message and then structure it into a way that communicates. When you understand both the Signature Presentation Formula™ combined with Irresistible Offer Architecture™ you’ll have a powerful message. By utilizing real-world tested methods and laying everything out in a simple and easy-to-understand manner, the team at Speaking Empire can help anyone achieve their goals. For my partner Robyn and I, investing in the time to attend the “Group Power Day” was one of the best ways to get started. We’ve also been to the “Presentainer”, where we learned presentation techniques and webinar formulas that entertain – but also help you sell in the process. 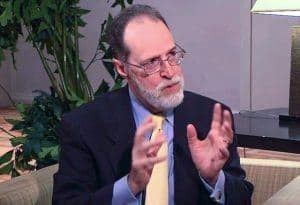 You can check out this and some of their available seminars at speakingempire.com to see what they can do for you. They helped us immensely, and I know that other entrepreneurs and marketers like us can benefit from their services. The last and most recent in the trifecta of workshops is we attended was the “Brand Response Marketing Workshop”, and I wanted to give a shout out to Dustin Matthews, the CEO of the whole thing, and Emerson Brantley, the copywriting workshop lead for the team. Here is what I got out of everything. When most people think of a CEO, they imagine some guy sitting behind a desk who can’t be bothered with day-to-day operations. 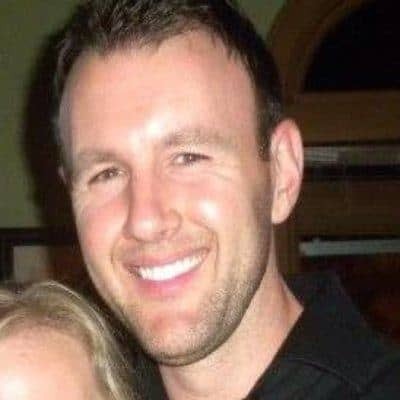 Dustin, however, is very much a hands-on person who wants to make sure that everyone who attends his events is not only having a good time but is getting the most value out of the service. After all, if we are here to learn something, we want to make sure that we walk away more knowledgeable than when we arrived. To that end, Dustin was excellent and provided not only advice and brainstorming ideas while we were working, but a host of tools and templates that we could use at our disposal. In the end, it really felt like he was there for our benefit, not the other way around. PS, Dustin just launched his new book, called “The no B.S. 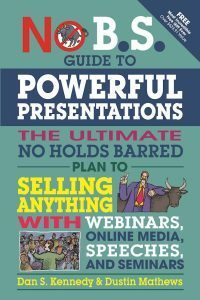 Guide to Powerful Presentations”, check it out here. 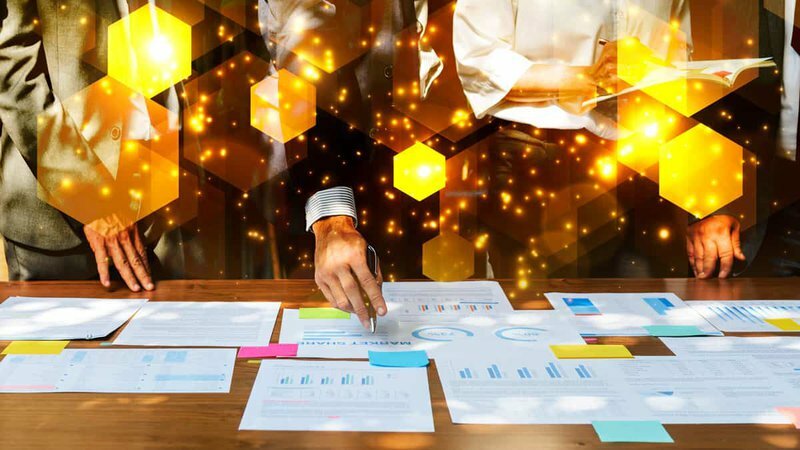 When it comes to implementing new marketing tools, many people are so eager to try them out that they don’t step back and examine the overall strategy behind it. Why are we using this tool to reach out to our clients instead of something else? What value are we providing for our customers that will make them come to us instead of the competition? Thanks to Emerson, I started thinking critically about how marketing can be utilized as well as the role that copywriting has in the whole process. I liked that he laid everything out in a simple manner that focused more on the customer’s experience rather than the uniqueness of the tools we could use. That way, we ensure that our clients are happy and coming to us in the future. Emerson has had some amazing experience and results when it comes to copywriting and marketing, you can check him out at Web3Direct and see some of the amazing marketing case histories. Emerson helped me see things from a different perspective, which is why I appreciated his input and recorded a separate video testimonial about the workshop experience with him here. By the way, there is an amazing upcoming conference called “Amplify” I can highly recommend. If you want to craft a message that resonates, deliver that message with power, and build a platform that reaches the world then Amplify is for you. If you’re a high-level business owner and you want to get your company to the next stage, then you most likely want to attend this exciting and worthwhile event. It’s a collection of the top minds and leaders in the industry coming together to help everyone succeed to their full potential. As such, you need to reserve your space now as they are limited. Find out more about the event and how you can participate here. Available now: iTunes, Android marketplaces. The 2012 World Appreciative Inquiry Conference in Ghent, Belgium held in April is available for download from iTunes and Android markets. The app is the hand-held concierge of the conference. We had fun designing features to enhance the experience of conference goers that can’t be done in a standard conference program, particularly one that is traditional print. In the Appreciative World, we seek to discover the best of humankind, to build on strengths, to celebrate the talents of all participants, to anticipate and imagine what more can be done to make a situation, a person, a product excel. We used that perspective in designing this app for the World Appreciative Inquiry Conference. The Conference app is available before, during and after the event so that the learning and engagement continues well beyond the event itself. For a more detailed view of the features set, please visit our conference-app-system website. The app is a native universal app, designed for iPad and iPhone. No persistent wifi connection required to access the conference program, presenters, sponsors, venue, transportation information and animated maps. Attendees can easily search and filter presentations, papers and abstracts in context as part of the session detail information and provide information as needed during the event. The Facebook, Twitter and LinkedIn integration enables attendees to share interesting sessions with their peers and extend the reach for presenters and event organizers. Attendees receive just-in-time notifications regarding news, scheduling and program changes, made visible on the home screen. The Conference-App-System can make your conference truly paperless, with the integration of slides and pdfs. The app has a note taking feature, enabling participants to create a personalized and valuable reference app to be used long after the conference and can be emailed to others in the spirit of collaboration.